Become involved in wildlife management — build a box! 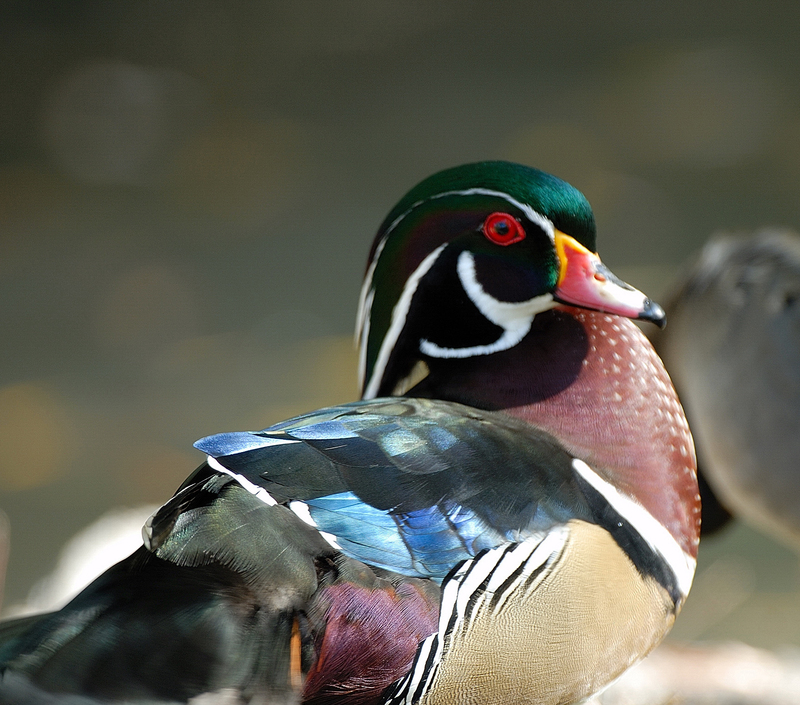 WOOD DUCKS ARE one of only a few waterfowl species that nest above ground in tree cavities. Wood ducks are very common in the eastern half of the county, but because Utah has limited woodland habitat near wetlands, they are considered uncommon in our state. There is one innovation that has allowed small populations of wood ducks to become established in several areas of Utah in recent years: artificial nesting boxes. Volunteer Joe Cresto constructs, places and monitors the nest boxes. Artificial nesting boxes have been used by people all across the county to provide nesting habitat for wood ducks. 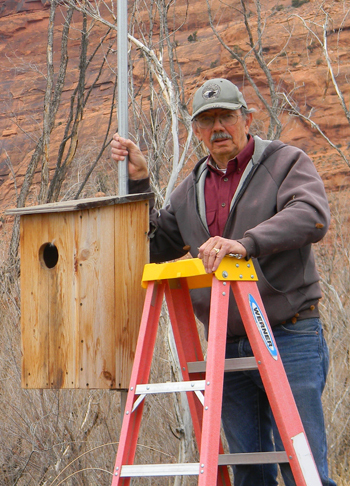 Nesting boxes have also proven to be very successful in Utah. Because nesting locations are a limiting factor for establishing wood duck populations in our state, placing nesting boxes in favorable wood duck habitat can attract birds to the area and even result in wood ducks using the boxes for nesting. 1. Make sure you are committed to maintaining the nesting boxes. Replacing nesting material inside the box and inspecting it for damage will increase the likelihood of wood ducks using the box for nesting. 2. Wood ducks will begin inspecting nest boxes as potential nesting sites as early as March. Make sure your maintenance activities have concluded prior to March 1. A wood duck in Utah. 3. Place the nest boxes in areas where wood ducks want to be. Wood ducks typically seek out water sources near woodlands. Rivers, wetlands and ponds with trees on the banks are ideal wood duck habitat. 4. Much of the land in Utah that is considered wood duck habitat is located on private property. Get permission from landowners prior to putting out nesting boxes. 5. It is illegal to handle and harass protected wildlife. If wood ducks begin to use your nesting boxes, please don’t try to catch, band or handle them in any way. You can download detailed instructions on how to build the appropriate duck box here. Placing nesting boxes is an excellent way to become involved in wildlife management and to help local wood duck populations. Good luck in your wood duck adventures! Thanks for posting. Nest boxes continue to be occupied.